We’re burying a time capsule in the hallowed ground of the MVS “vegan slaughterhouse” gym. 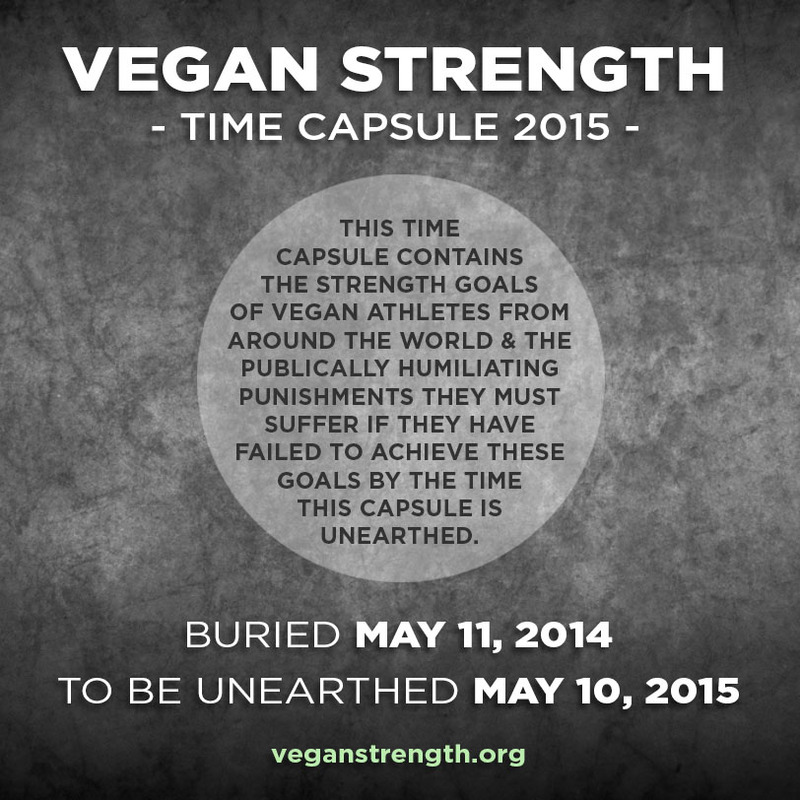 The capsule will contain the one year strength goals of MVS lifters and any vegan athletes from around the world who want to take part, as well as the publically humiliating punishments they must endure if they fail to meet these goals. The capsule will be buried deep underground in an empty vegan protein tub and unearthed one year later on May 10, 2015. If you’d like to have your strength goals included in the capsule contact us with (1) your name (2) your one year strength goals and (3) your punishment if you don’t achieve those goals. If you’re in Melbourne all are welcome to come to the May 11 MVS training session to smash some iron and bury the time capsule with us. 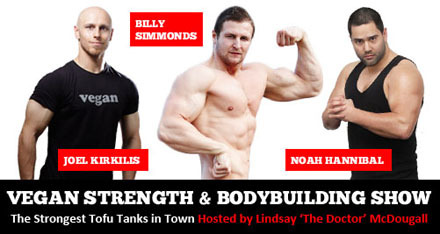 MVS Lifters will be taking part in the Strongest Tofu Tanks In Town at the 2012 Sustainable Living Festival. This event is organised by Animal Liberation Victoria and Uproar and sponsored by Powerlifting Australia. 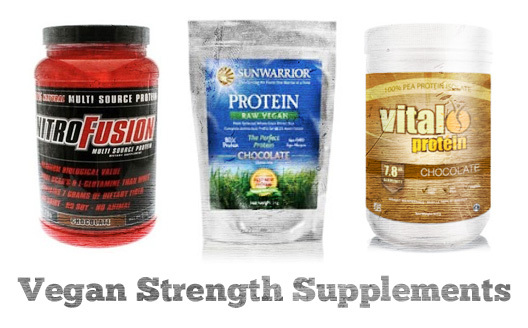 Featuring Mr Natural Universe 2009 Billy Simmonds, champion bodybuilder Joel Kirkilis, and gold-medal herbivore heavyweight Noah Hannibal. Hosted by Triple J’s Lindsay “The Doctor” McDougall. Come along and watch our anti-beef beefcakes smash stereotypes of the vegan weakling and wow you with their pecs, packs and body-building prowess! MVS Powerlifter Noah Han­ni­bal was re­cent­ly in­ter­viewed by Joshua Katch­er for the The Dis­cern­ing Brute – Fashion, Food and Eti­quette for the Eth­i­cal­ly Hand­some Male. 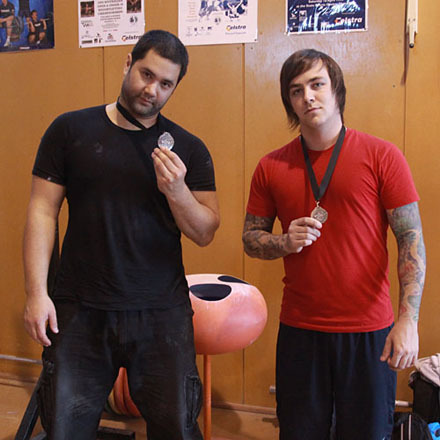 In July Noah also won the gold medal in the heavyweight division of the Australian National Bench Press Championships. 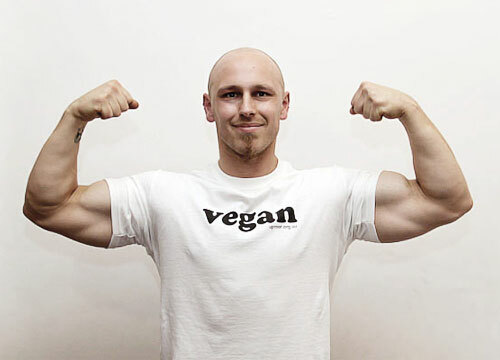 Vegan Bodybuilder Joel Kirkilis is featured in the new Uproar campaign ‘Not your typical treehugger’. The campaign aims to show vegans from all walks of life, and in the process break down incorrect stereotypes about vegans. Who better to smash these stereotypes than the mighty Joel? MVS comrade in iron JP, competing in the 105kg weight division of the UK’s Strongman Northern Championships. 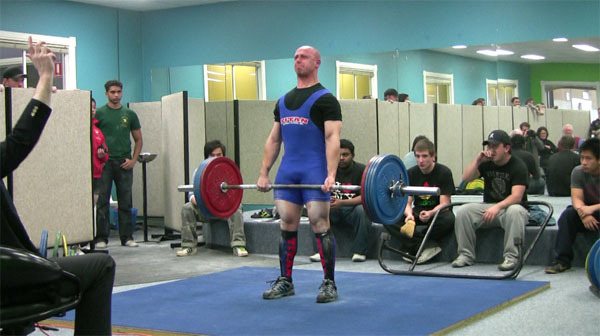 MVS’s Andrew Clark and Noah Hannibal lifted in the 2010 Victorian Open put on by Powerlifting Australia. Andrew squatted 160kg, benched 97.5kg and deadlifted 212.5kg for a raw comp pb total of 470kg and the silver medal in the 90kg weight division. Noah squatted 207.5kg, benched 180kg (in a bench shirt) and deadlifted 230kg for a comp pb total of 617.5kg and the silver medal in the 125kg weight division. 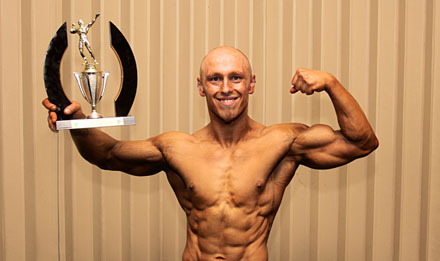 MVS powerlifter and bodybuilder Joel Kirkilis has taken home trophies at this years INBA and ANB Victorian Championships. Joel placed a strong third in the INBA intermediate men’s division and first in the under 80kg ANB division. 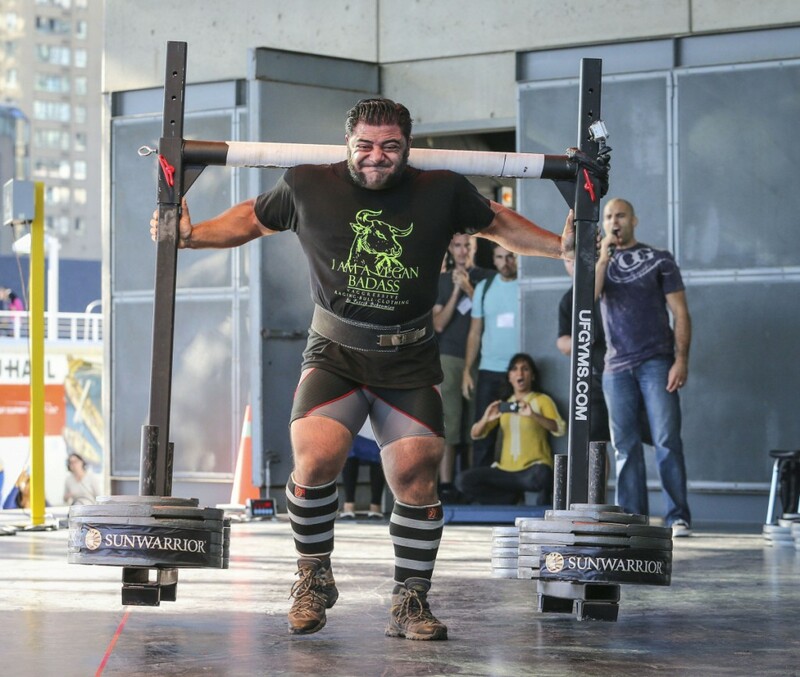 Four powerlifters from MVS competed in the Global One IPF (International Powerlifting Federation) competition last weekend. It was a hugely successful day where ignorant stereotypes about veganism, such as that you can’t build muscle and get strong without eating animal products, were well and truly smashed. Noah Hannibal took the ‘best lifter’ trophy home, squatting 200kg, bench pressing 170kg and deadlifting 230kg for a 600kg (1,320lb) total. Joel Kirkilis and Andrew Clark , competing in their first competition, won their weight divisions and Patrick Virtue came second in his. Photos from the competition can be viewed in the photo and video section.